We present a conservative Arbitrary Lagrangian Eulerian method for solving nonlinear hyperbolic systems. The key characteristics of the method is that it preserves all the convex invariants of the hyperbolic system in question. The method is explicit in time, uses continuous finite elements and is first-order accurate in space and high-order in time. The stability of the method is obtained by introducing an artificial viscosity that is unambiguously defined irrespective of the mesh geometry/anisotropy and does not depend on any ad hoc parameter. 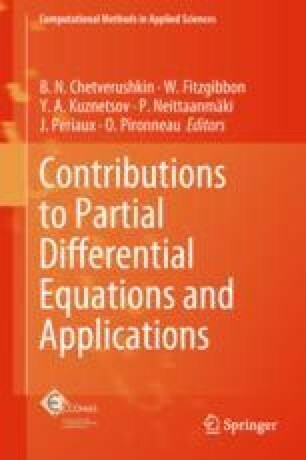 Guermond J-L, Popov B, Saavedra L, Yang Y (2017) Invariant domains preserving ALE approximation of hyperbolic systems with continuous finite elements. SIAM J Sci Comput 39(2):A385–A414. arXiv:1603.01184 [math.NA].